I have come to Mexico to study that exact intersection of identity, ethnicity and equality. My desire is to examine the thinking that the culture and indeed national identity based in mestizaje, an indefinite mixture of ‘blood’, heritage and cultural binary of indigenous and European ancestry, has meant that racial inequality is lessened. The belief and promotion of mestizaje has its roots in the Independence processes across Latin America as the wealthy leaders of the movements sought to find reasons why the people living in Spain’s American colonies were different than their peninsular rulers. In stating this difference, the leaders of the American independence movements were actually pushing for greater economic and political control over their territories. Notions of mestizaje and national identity became reinforced once again during the modern nation-state building efforts of the late 19th and 20th centuries. We can still see the legacies of this process as part of a neoliberal project in many Latin American countries today. It informs who we see in media representations of who is Colombian, Mexican, Dominican or here in the United Staes, who is “Latino.” In each of these processes the idea remains the same, those who are identified as the correct proportion of mixing have access to the wealth and resources of the country, all others will remain on the periphery. In Mexico, the promotion of mestizaje has manifested itself by largely relegating the nearly 30% of the population who identify as indigenous to the outskirts of Mexican cities and to the lowest tier of educational, health and economic achievement. It has also resulted in the erasure of the tercer raiz, third root, of Mexican identity – Africans and their descendants. The role of Africans and black people in Mexico extends back to the first contact when African slaves and freedmen accompanied Hernán Cortés in the sacking of Teotihuacan and the destruction of the Mexica Triple Alliance. African influence on the development of New Spain (modern day Mexico and parts of Guatemala) was instrumental from that point forward. An African is credited as planting the first wheat crop in the Americas. Until the middle of the 17th century, New Spain had the largest African population in the Western Hemisphere. Not all of these people were slaves. Due to the labor practices that placed African slaves and their American born descendants as intermediaries between indigenous labor and Spanish/white creole land holders as well as a highly developed understanding of the Spanish court system that historian Herman Bennett calls ‘creole consciousness’ many of these people bought and won their freedom. In 1646 Mexico’s free slave population was 120,000 people and Africans of all statuses, free and enslaved, composed upwards of 20 percent of some of the colony’s largest cities. 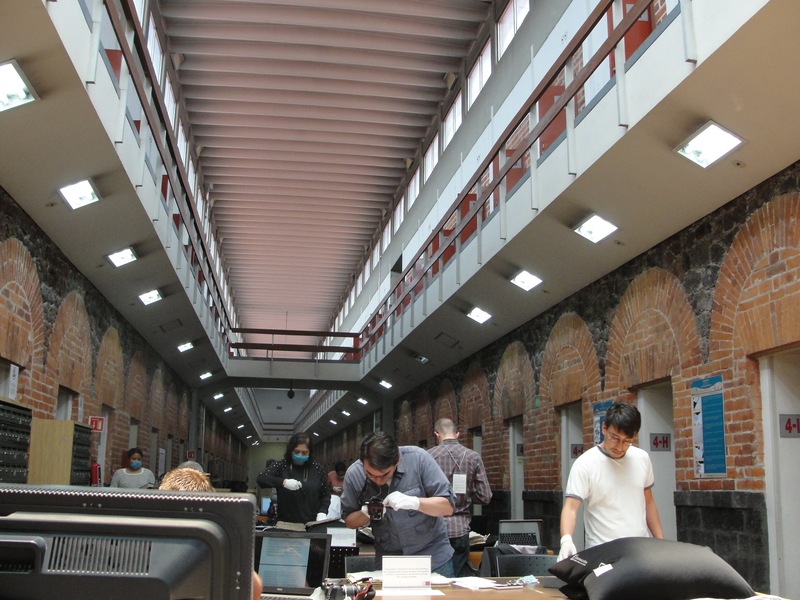 I’ve started my trip in Mexico City in order to investigate this early period of black influence and proliferation in the Archivo General de la Nacion. Housed in what was once Mexico’s most notorious prison, the national archive has countless tomes dedicated to the country’s history as a Spanish colony/ In this time period I have focused on the coastal Veracruz region and in particular, the creation and development of the first free slave town in the Americas, Yanga, Veracruz. 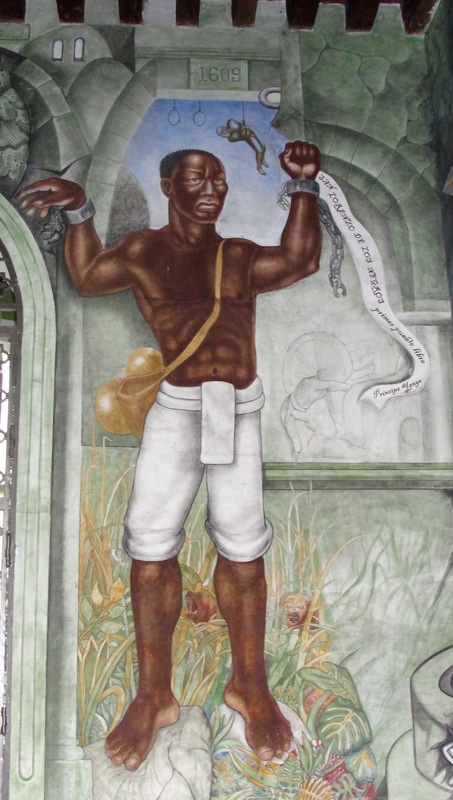 Founded by the runaway African slave Gaspar Yanga in the 1570’s, the settlement was notorious for robbing travelers on the road between the port of Veracruz and Mexico. Also known for attacking nearby plantations and towns for goods, and liberating slaves, indigenous laborers, and women in order to start families. Hidden in the mountains, Spanish colonists and the colonial army were unable to locate the town until 1609 when the settlement was destroyed, still the runaway slaves and their growing families were able to escape and issue a set of demands. One central tenant of their demands was that no criollo (member of the New Spanish white elite) or mestizo could ever be a leader of the town. This rejection of what we traditionally think of as mestizaje, while at the same time practicing a completely different version between black and indigenous people, offers a new paradigm to think about mestizaje and the founding of Mexican identity. This influence did not end in the Colonial period, but instead has been instrumental in all facets of Mexican history from Independence to today. 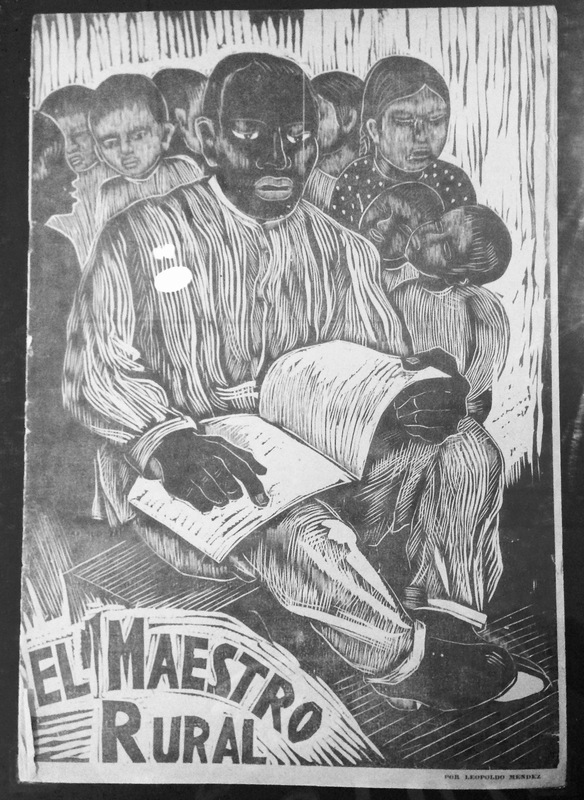 I look forward to continue traveling through Veracruz to examine “if” and “how” these notions of mestizaje have continued in the lives of Jarochos Veracruzanos of all shades, colors and backgrounds today. This search for an alternative version of mestizaje comes as Mexico’s afrodescendant population is able to recognize its blackness on the census for the first time. For the nearly one million afrodescendants living in Mexico today, the decision to identify as Afromexicano, Black or simply Mexican has never meant so much. This entry was posted in Uncategorized and tagged Afrodescendants, anthropology, CLACS, CLACS-NYU, Cultural Identity, FLAS, history, Latin American research, Mexico. Bookmark the permalink.